Some exciting new product news has just landed in my inbox from the babes at Bali Body. Even if you think you don’t know who or what Bali Body, I’m going to bet you’ve seen their products ALL over Instagram. The proudly Australian and vegan friendly skincare company are about to release a new Pineapple Tanning Oil – a luxe multi-purpose, hydrating tanning oil that nourishes skin whilst creating a deep summer glow. Bali Body introduces the new Pineapple Tanning Oil – a luxe multi-purpose, hydrating tanning oil that will nourish your skin while helping create a deep summer glow. Enriched with grape seed oil, sweet almond oil and coconut oil to naturally enhance your tan and leaving you smelling like a tropical summer holiday. All four Tanning Oils are formulated to rejuvenate dry skin and treat eczema, cellulite, scarring and acne. The Pineapple Oil will join the range of high quality & affordable products now extended to four tanning oils (Cacao, Natural, Watermelon and Pineapple), a luxurious moisturising lotion, moisturising sunscreen, lightweight BB cream (the product I’ve read the most rave reviews about! ), bronzing lotion, vegan coconut lip balm and Body Shimmering Oil. 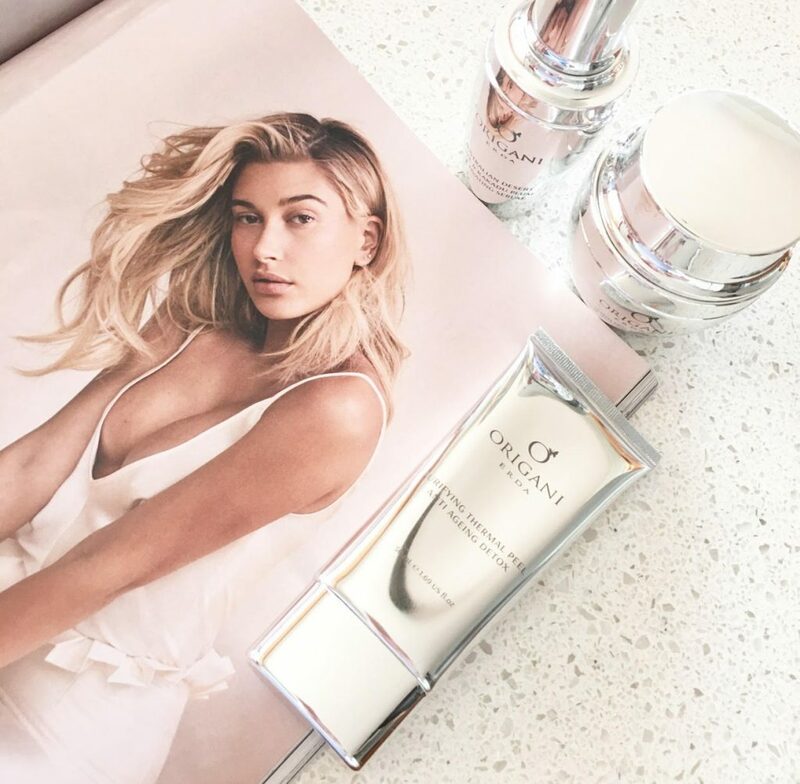 In four short years, Bali Body has grown from strength to strength and has generated over one million Instagram followers with the products seen on celebrities around the globe contributing to their loyal following – just look at their Instagram feed for proof! Proudly Australian and vegan friendly, Bali Body are committed to using natural and naturally derived ingredients. The Pineapple Tanning Oil will be available exclusively online for $23.95, including shipping, with further information available here with free and fast shipping available for all Australians. Oh and did you know that all Bali Body tanning products are now available in 100ml bottles so you can fly internationally with your Bali Body product by your side! 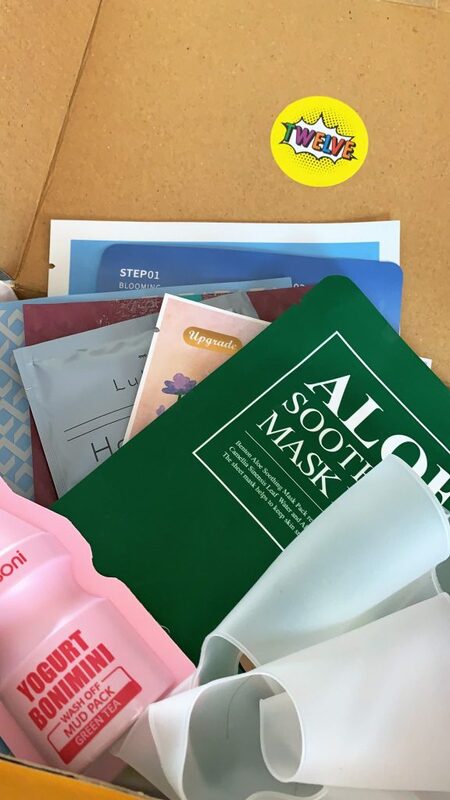 The past few months I’ve dedicated to upping my skincare game (which may be thanks to my recent K-Beauty obsession!) and have recently begun to incorporate several Dermatonics® products within. Dermatonics® is created by the husband and wife team, Donna & Helder Marçal, whose passion for products that are free from harsh chemicals and great for sensitive skin is what drove them to develop this beautiful range of clinical-grade skincare. 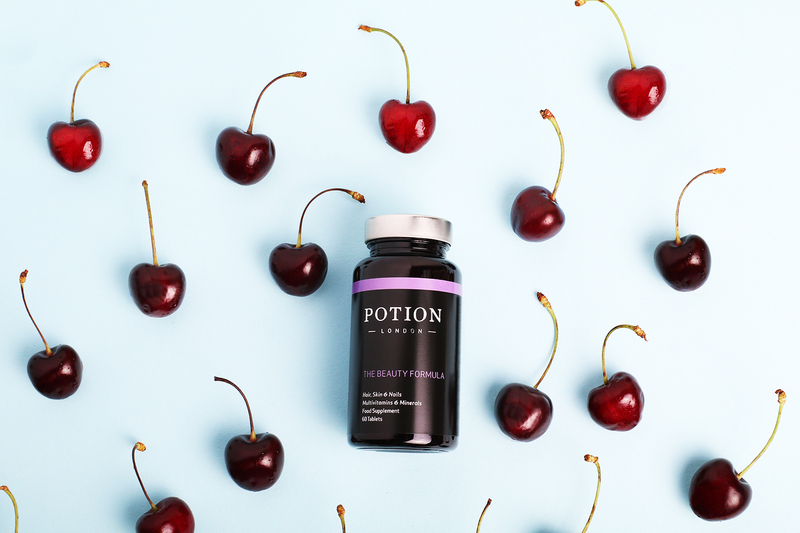 When developing the formulas, they ensure an effective and authentic product that retains effectiveness with NutridermaceuticalsTM .This is a world-first biomedical breakthrough of functional organic phytonutrients with high potency organic antioxidants. ELASTICEN® is the proprietary composition that helps exert youth looking effects through functions that behave like ‘ceuticals’ to enrich the natural physiological activities of skin. ELASTICEN® is exclusive to Dermatonics® and is used to help maintain skin radiance and youth appearance at its best through strengthening collagen and elastin matrix. Dermatonics® was developed with innovative and safe formulas, with a superior blend of natural medicinal plants, flower extracts, essentials oils, herbs and spices that allows the super-pure ingredients to remain active. Dermatonics® NutridermaceuticalsTM are particularly beneficial for blemish correction and help skin that is dry, sun-damaged, eczema, rosacea and prone to acne breakouts! I’ve been trialling the below products for a few months, and want to share my thoughts on each product. This combination of products is known as the ‘Even Your Complexion’ kit, which I guess is fairly self-explanatory. The cleanser is a clear silky liquid which removes makeup and cleanses skin in one simple step, but while it was created with oily and acne-prone skin in mind and I don’t have many spots to worry about – it actually hasn’t left me dry nor tight whatsoever. I do tend to double cleanse of an evening when I wear a full face of makeup, but I actually think you could skip this step using this cleanser, it works that well. The Dermatonics Clearskin® is excellent at preventing new pimples and clearing up current ones, thanks to its natural breakout prevention formula, and feels especially nice on the skin. As I said, my skin is fairly clear (other than my rosacea) but anything to stop new zits from forming right? From what I can see, this product does not contain SPF so just remember to pop that over the top afterwards. 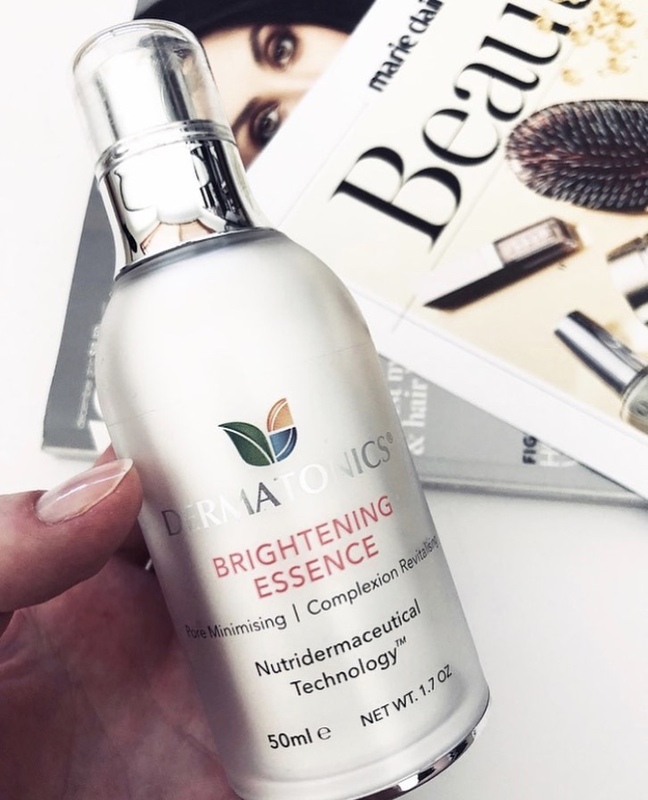 I’ve gotta say, my HG product is The Brightening Essence, which helps with pigmentation, blotchiness and will help the appearance of large pores. As I’ve just turned 29, I figured it was high time to control any further discoloration that I may find, and my skin is left instantly softer and smoother once applied. 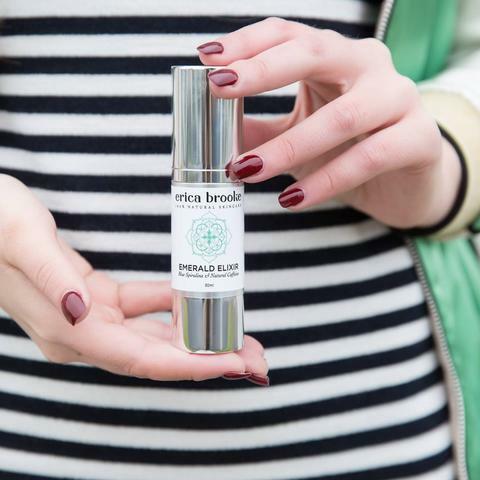 The eye cream is, of course great for crows feet, but is also really good for dark circles under the eyes – again I feel that dark circles could be a problem as I get older so best to step in now! I’ve experienced zero irrationals or reactions whilst using these products, and I use both morning and night. A further Q&A section is available on the Dermatonics® website, which also goes into additional detail on the making of the skincare. Dermatonics® has been tested around the world in some of the most extreme climates to ensure stability and the products can be used on all skin types in all geographical regions of the world. The range is, of course, completely vegan friendly products, and are proudly Australia made and owned. You can receive 15% off your first order by subscribing to Dermatonics® newsletter, just click this link! *While this post is sponsored by Dermatonics®, this post remains 100% completely my own thoughts and opinions. Dropping May 1st for a very limited time, Frank Body is releasing a brand new Shimmer Scrub, which has an ingredient being referred to as glow dust. Intrigued? What makes this even more interesting is, rather than being a coffee scrub as know and love Frank for, salt and sugar provide the exfoliation this time around and the addition of mica leaves a shimmery finish behind for a glow that even unicorns would envy! Why not pop an entry in for a competition that Frank is running to win a Shimmer Scrub along with a personalised demin jacket with the slogan ‘THROW SHIMMER NOT SHADE’ right here. I’m all over this product this morning and cannot wait for the launch, it’s going to all kinds of glitter FUN! Jema Lee is an author, speaker and a huge ambassador for making healthy living easy. She teaches people how to create healthy bodies & lifestyles over; burn-out, exhaustion, weakness, lethargy, tiredness, bloating, blemishes, obesity, confusion and frustration – anyone else mentally tick off ones of these? If you, like me, struggle with a healthy living lifestyle, you’ll want in on what Jema does. What intrigued me the most is her Eat Yourself Clean Program. This is a 21 day online program where previous participants have achieved big results in the following areas: weight loss and management, increased energy, lower fatigue, balanced appetite, improved sleep, glowing skin, and improved gut health. Did you see glowing skin in bright neon lights? Me too. You’ll learn why diets don’t work, all about protein, carbs and sugar, digestion, gut and detoxification pathways, understanding weight loss, cravings and fats, along with travelling, eating out and recipes – pretty much everything to make you feel equipped to live your best life possible. Oh, and Jema also shares her skincare secrets and how to have glowing skin, naturally! “Beauty starts on the inside, from the smallest of cells to a humming gum and loving liver. 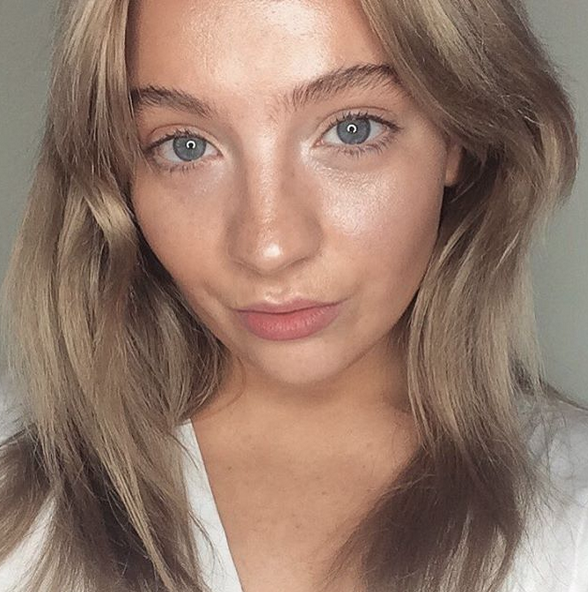 You can’t expect to see results overnight but if you want to naturally glow, you’ve got to learn how to glow on the inside first. The first place to start for glowing skin is your liver. Learn to love your liver and you’ll never have to worry about not glowing again”, says Jema. 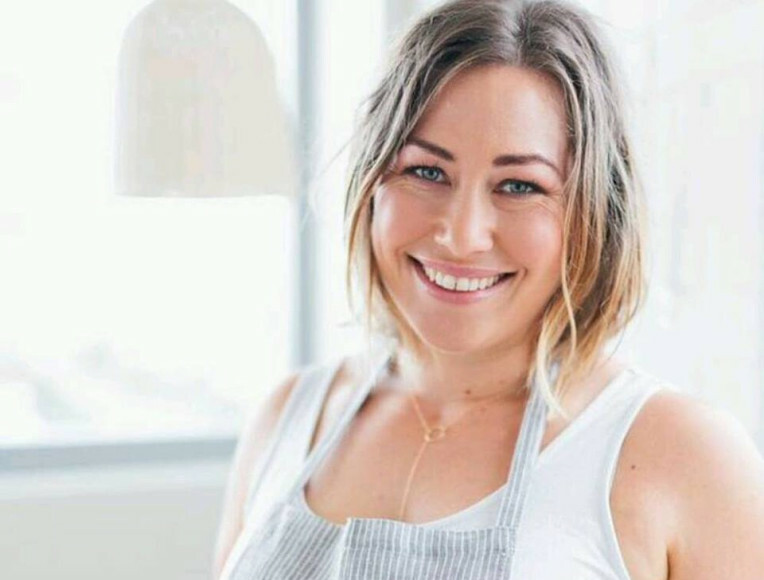 To learn more about Jema, her coaching programs or to simply subscribe to her free newsletter, which also scores you a free copy of Jema’s Gluten Free Recipe eBook, simply visit her website at wellsome.com. 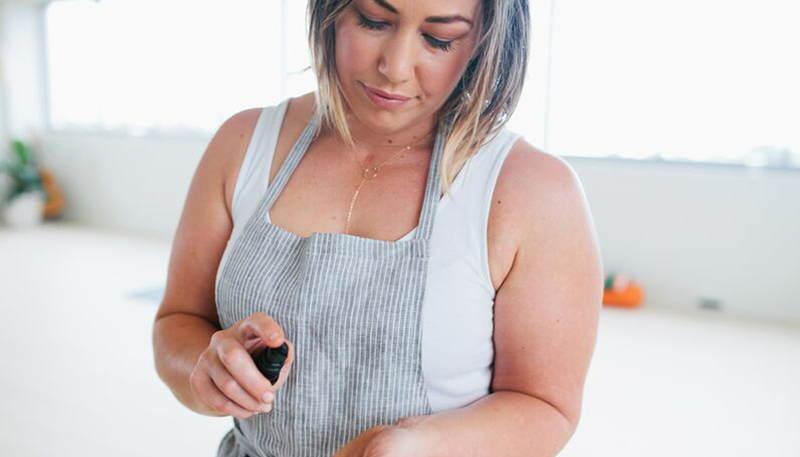 Additionally, if you’ve got health goals, food challenges, are confused or frustrated about your health, or perhaps need guidance on nutritional products to help you glow, set up a Free Health Discovery Call with Jema herself, where she’ll get you started in the right direction and get you going on your journey to becoming the healthiest and happiest version of you – with glowing skin of course! Just recently, Origani’s Activating Thermal Peel Collection was launched and I’ve gotta say, this set is pretty AND powerful. Surprisingly gentle on my sensitive skin, this three-step process was a cinch to apply and left me with baby smooth skin in the morning. Let me tell you more…. 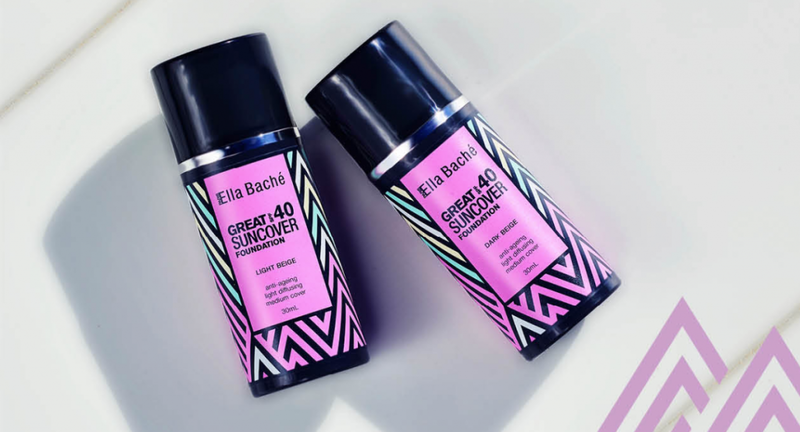 Included in the oh-so-glam gift set is an Activating Serum, Purifying Thermal Peel and a Cooling Cream. 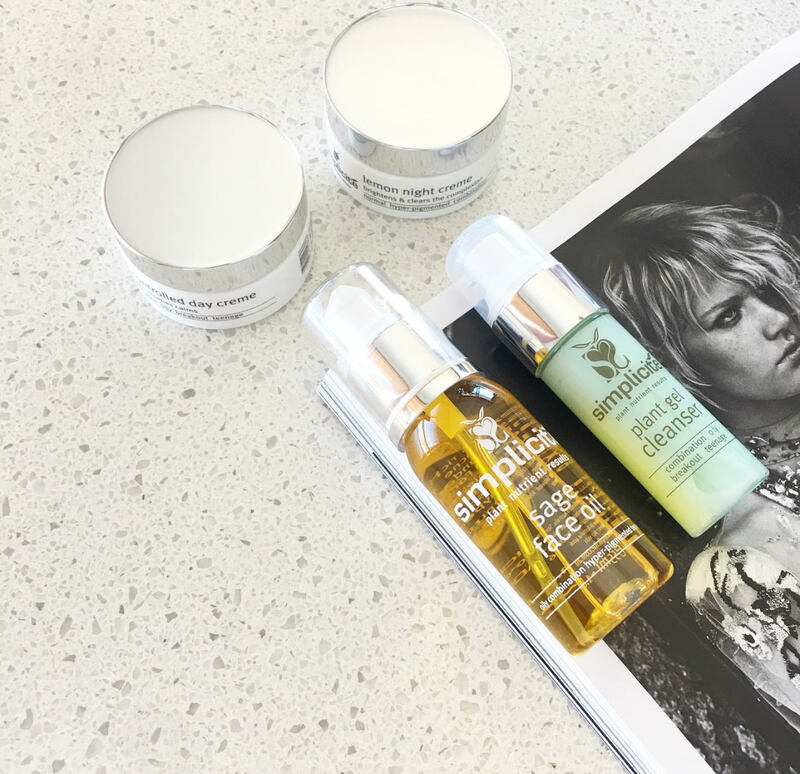 Each product plays a vital part in the puzzle, and work together to fight the signs of premature ageing, including the harmful effects of toxins. While our body naturally has a detoxifying function, overtime, this natural process begins to slow down – resulting in toxins accumulation. Toxins have a significant and negative impact on the appearance and behaviour of the skin, i.e. dullness, lack of firmness and tone, premature formation of lines and wrinkles, uneven skin tone, dehydration, congestion and breakouts and/or reactivity and sensitivity. Origani brings a highly-targeted solution that addresses the issues of toxins accumulation in the skin, by promoting and prolonging our natural detoxification process – thank goodness! STEP 1 Activating Serum /A powerful ingredient cocktail of antioxidants, vitamins and minerals. To use: Apply the serum to freshly cleansed skin. Important: may be used independently as a high-potency antioxidant serum treatment – simply apply before day and/or night cream. STEP 2 Purifying Thermal Peel. 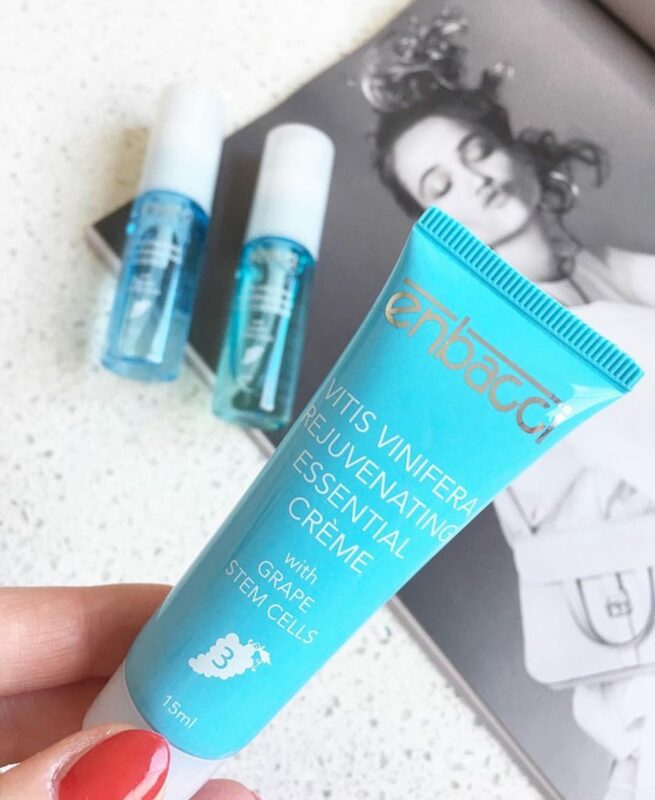 Gently releases heat which opens the pores to optimise the delivery, penetration, and performance of the Activating Serum. To use: Apply the peel to the skin that has been prepared with the Activating Serum. Massage the peel in circular motions for 1 – 2 minutes. Leave the mask on the skin for 10 minutes. Rinse off thoroughly with warm water and pat dry. STEP 3 Cooling Cream. A soothing cream to re-balance and protect the skin after the thermal peel. To use: after removing the Purifying Thermal Peel, apply liberally to the skin. May be used independently as a soothing and calming moisturising treatment. I found using a mask, peel or treatment works best on a Friday night for me, as I enjoy a long sleep in on Saturday mornings, and this mixed with great skin treatments – my best skin ever. This peel is by far the most gentle I’ve ever used, and completely left my skin feeling and looking noticeably smoother, with was certainly a great start to my weekend. 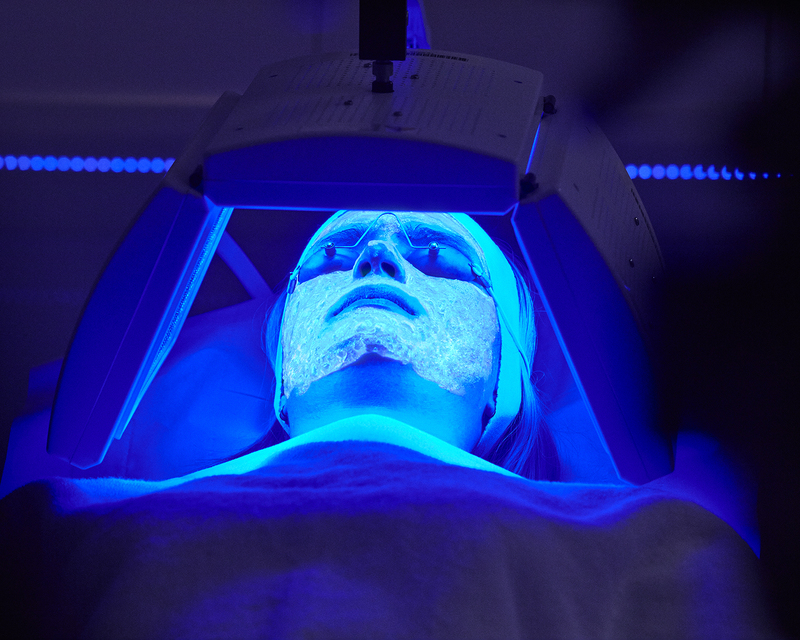 Peels often have a bad rap as they can be so aggressive and best left to the pros, but this one is an ideal at-home treatment for a pampering treatment for your beautiful self. What’s your experience with peels been in the past, do you DIY it? In early December, I received an email from Robin Lyons, the co-founder of Simplicité Skin Care, which was established in Australia in 1992. Robin expressed interest in Why Hello Beauty trialling the products, which left me sceptical as always, ‘cos you know what I’m like with skincare. 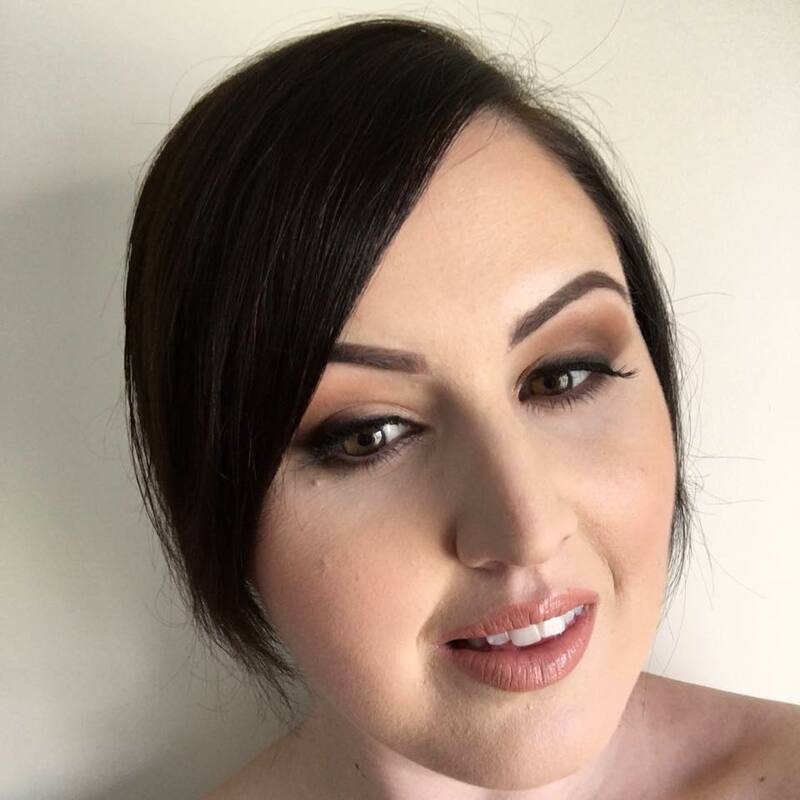 I did agree though as we had a mutual friend in Sarah Baker of SJ Lashes, so I was delivered a trial package swiftly after, but not before Robin assessed my skin via email to determine the correct products for my specific skin type. I’m not sure if I’ve mentioned this on this platform before now I think of it, but I suffer from keritosis pilaris, which is a red and bumpy rash type condition that affects my lower cheeks and upper arms in varying degrees, depending on the day and temperature. Robin noticed this from the images sent via email and recommended products to relieve and treat this condition, which actually worked! I’ve found nothing I’ve tried really over the years has helped my keritosis pilaris, so to reduce the redness and bumpiness to a noticeable degree, is fantastic. I also had – note the past tense – a really dry flaky forehead that was more evident when foundation is applied, and I had really started to notice it more and more the last few months. When I mentioned this, Robin’s advice for this was just to continue with my trial pack for a flake free forehead. Robin also popped in a Results Lift Gel (LOVE) and some body products for the keritosis pilaris on my upper arms, such a lovely gesture! The trial products lasted about 3 or so weeks (with cleansing AM + PM) which left me feeling good but still wanting more, so I ended up purchasing another trial package for $69.95. 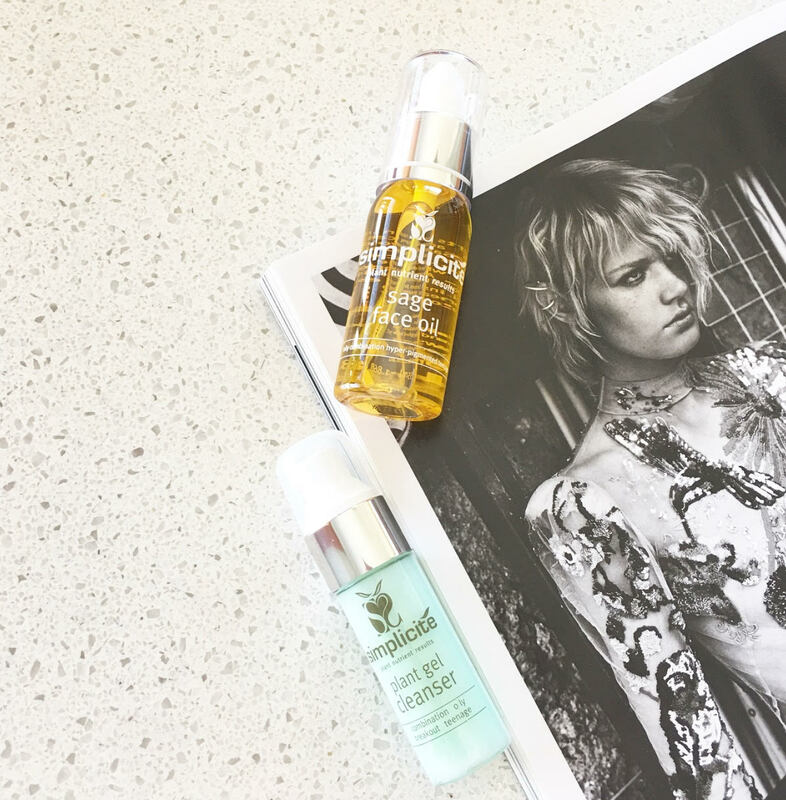 I was a little hesitant about applying a facial oil both morning and night, esp. as I can be quite oily by the afternoons, but the benefits are completely worth it. I did reduce the amount of oil used in the mornings, just in case my makeups longevity suffered with it being summer and all, but nope, I’m still happy. For those who are wondering about the cleanser’s makeup removal abilities- for best results, I do like to remove my makeup with a cleansing oil before I double cleanse with the Plant Gel Cleanser, which gives me a completely clean canvas to apply my oils and creams to. I then pop the other products on depending if it’s AM or PM, and away I go. I can guarantee you, I’m absolutely in love with these products and will recommend these products to everyone, they have seriously transformed my skin. What’s on your beauty wishlist in 2017, share with me in the comments! I’ve always been intrigued by botanical facial steams but never really knew much about them at all. 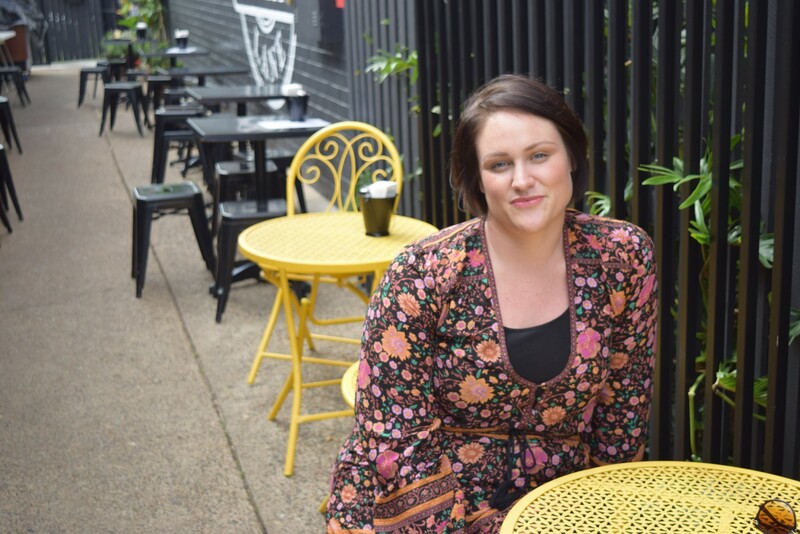 When I connected with Michelle Slote of Elixir Apothecary, owner & stockist of holistic remedies, essentials and luxuries, I knew I found my source of knowledge. Hi Michelle, thanks for chatting with Why Hello Beauty! Tell me, what are the benefits of facial steaming, as opposed to using say a Clarisonic for example or a mud facial mask? The benefits of facial steaming are naturally occuring and I’ll list them below. The steam provides a gentle opening of the pores. Depending on the botanicals + essential oils used in the steam will determine the results. The opening of the pores allows the botanicals to be far more effective, unlike the Clarisonic that goes straight in for the cleanse with foreign (foreign to our skin) bristles. Our skin reacts best to what nature has to offer due to our bodies being so aligned with the earth. Therefore, our skin is much more receptable to steam followed by the botanicals grown from the earth. On the topic of face masks, facial steaming actually preps the skin for a face mask if desired. This is due to the open pores and cleansed skin depending on the botanicals. The facial steaming process opens the skin up to soaking in more of the face mask’s benefits. Facial steaming relaxes you. If you drape a small towel over your head, it will almost transport you to your own world of relaxation. Facial steaming boosts the skin’s circulation. The heat from the steam sends a rush of blood and oxygen to the skin’s surface. Circulation is essential for ridding dull skin, removing toxins + bacteria and skin’s elasticity + ability to fight age. Also that’s why we have a red, post-steam glow. 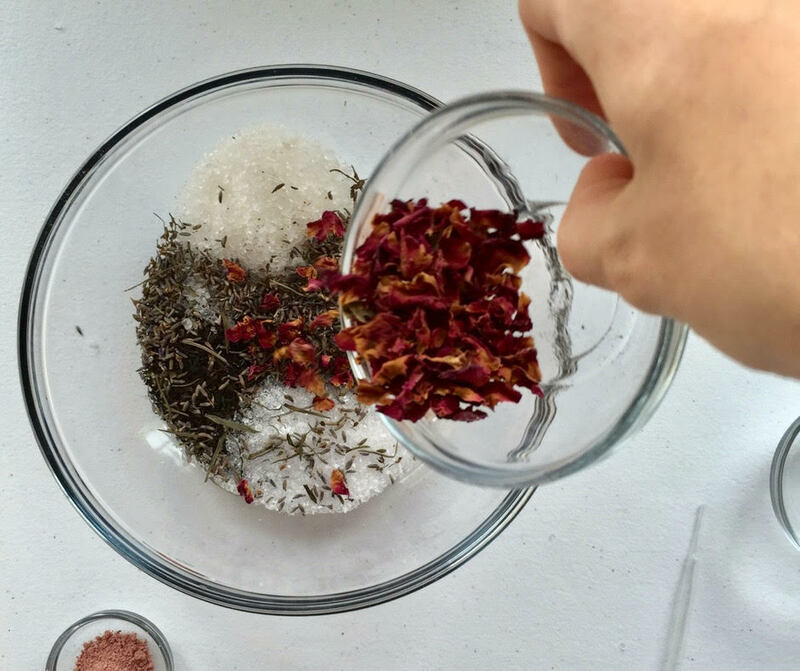 What is actually within the pretty little facial steaming products, and what benefits can you achieve with the different botanicals available? There are many more flowers + herbs that can be used in a facial steam. Adding in essential oils too means the possibilities are endless! We are trying to narrow down herbs for our blend at the moment because there are so many beneficial options. What is the correct process we should follow for a safe & beneficial luxurious facial steam? 1/2 way through add the facial steam botanicals and boil for 1 minute. Remove from the stove and let it cool for a few minutes. Place a small towel over the back of your head. Lean over the steaming bowl and let the steam do it’s magic. Five minutes minimum but no more than ten minutes. Do this once or twice a week to avoid irritation of the skin and the disruption of the top layer of skin. Is there any products/ingredients or activities we should avoid after a facial steaming? In general, your skin should be fine to apply your normal skin care routine afterwards. But this can vary person to person and if you have any doubts, stick to calming/ sensitive safe skincare after treatments. Keep an eye out for the release of Elixir Apothecary‘s range of facial steams due during the US Spring, I know I’ll be snapping one up for sure! Everyone is chatting about beauty supplements right now but what are they and what do they actually do? To answer this question – and more! 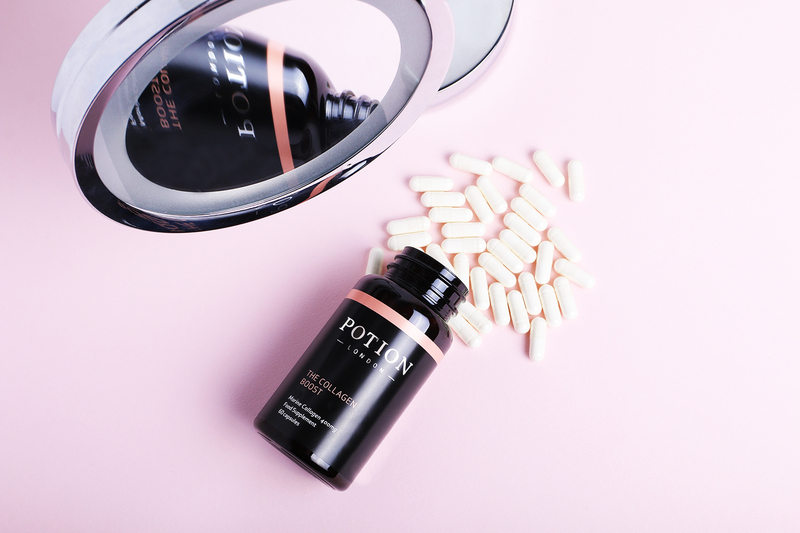 – I invited Alexa of Potion London, a newly released UK based beauty supplement range, to share her knowledge of why we should all be taking beauty supplements and how to choose the one that is right for us. I’m currently trialling The Hydraulic Complex, The Collegan Boost and The Beauty Formula, with my review to follow soon! Hi Alexa, thanks for chatting with Why Hello Beauty today! I’ve just began trialling Potion London and cannot wait to see the improvements within my hair, skin and health. What inspired you to create your own range of beauty supplements? Have you tried beauty supplements in the past? Hi Emily, thank you so much for having me, I love your blog and I’m so excited that you chose to use Potion, and to see how you get on with them. I’ve always been interested in nutrition and have taken food supplements for as long as I remember, but never really thought about exactly what I was taking and why – it was more because I saw something on the shelf and thought it would probably make me healthier (I don’t advise this approach!). I had never taken specific beauty supplements before but as I got older I started thinking more about looking after my skin to avoid getting wrinkles. 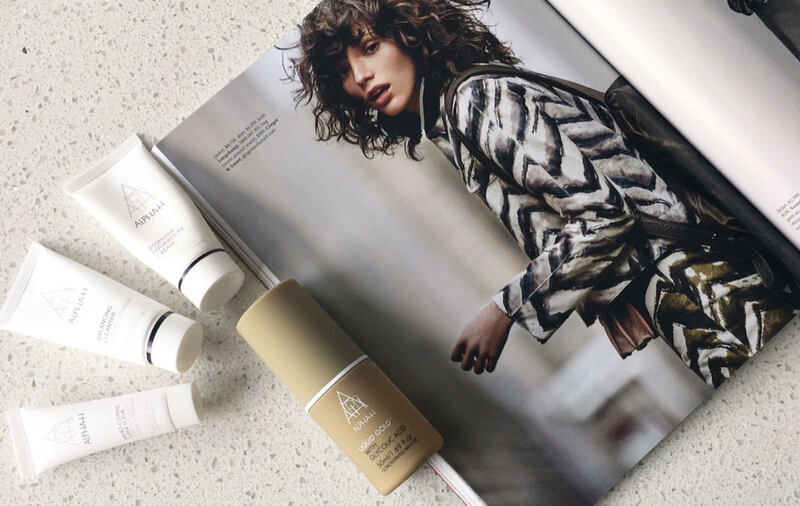 My background is in fashion and beauty marketing and at this time I started seeing a few new beauty supplement brands emerging and they sparked my interest. 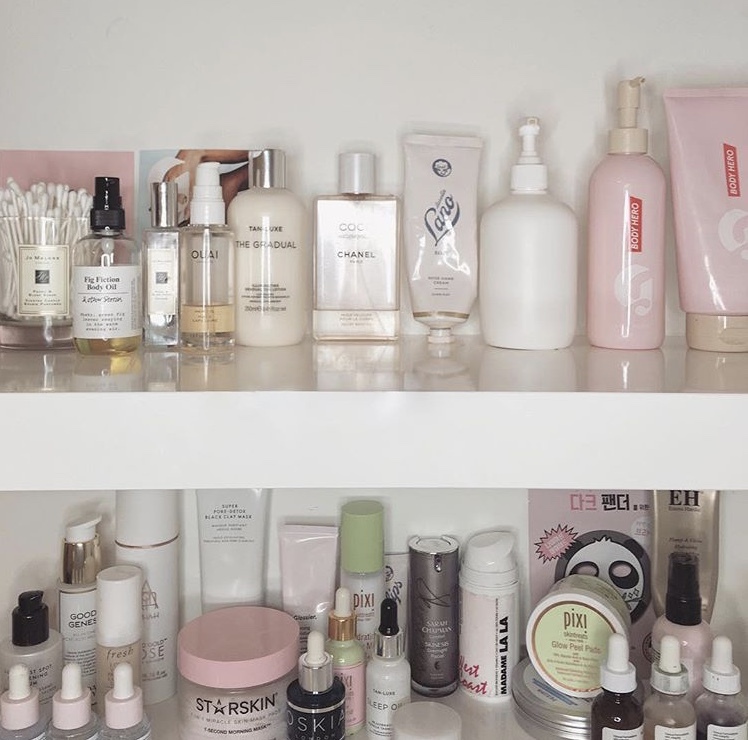 I knew immediately that this is the future of skincare and started researching which ones I should take, after all, it’s true what they say – you are what you eat. I couldn’t find exactly what I was looking for in a supplement brand, so I decided to create it myself. After a lot of research and exhaustive searching for the best UK suppliers, I finally developed Potion London. How did you choose your product line? I wanted a mixture of specifically targeted beauty supplements as well as general health supplements. It was important that every product in the range also worked well together; one of my objectives was to take the headache out of choosing food supplements so that customers would know that whatever they take from the range is nutritionally balanced and can be safely taken together should they want to take more than one. Are these supplements to be taken before, after or with food? They should be taken with food (or just after a meal) and washed down with a glass of water. This is to boost the absorption of the nutrients – when we eat our bodies are in ‘digestion mode’ and are prepared to absorb the nutrients most efficiently. The exception (hey, there’s always an exception to every rule!) is The Collagen Boost – this one is best taken on an empty stomach so that the digestive acid in the stomach – which is produced when we eat – doesn’t break the collagen down. So this one is best taken last thing at night before bed, or an hour or two after eating. Which is your personal favourite from Potion London? I take them all and it’s hard to choose a favourite because they all target different requirements, but I would have to say The Collagen Boost. It is our best seller and for good reason – just a few weeks after taking this people notice that their skin is more plump, brighter and has less wrinkles. All my friends now constantly look like they have just had a facial and I’ve noticed such a difference in my own skin. The results are boosted if you take The Hyaluronic Complex as well. Collagen is one thing that is very hard to get enough of in our diet; we would have to drink a huge amount of bone broth every day in order to get the same amount of collagen to make a difference, so a supplement is definitely a good idea! My second favourite is The Probiotic. Good gut health is essential for our overall physical and mental health, and while it’s a very under-researched area, more work is being done all the time to understand our guts better and their influence over our entire bodies. Probiotics are not just for people on antibiotics, they are essential for maintaining the good bacteria in our guts, which can improve everything from asthma, eczema, food intolerances, skin health, mental health… the list goes on. Do you have any quick wellness tips for women to incorporate into their daily schedule? – Make a smoothie for breakfast every morning to cram a load of veg into your diet and get a hit of vitamins to start the day – then if the day deteriorates and you end up grabbing food on the go, you don’t feel guilty for not eating enough fresh food. – Try to walk as much as possible. Take the stairs instead of the lift, walk up the escalator instead of standing still, walk to the furthest coffee shop on the street instead of the one next door to the office, get up and walk over to your colleague to have a chat instead of emailing them… tiny little changes all add up. – Stretch for five minutes in the morning to start the day, there are loads of good five-minute videos on YouTube if you’re not sure where to start. – Breathe deeply. We all breathe into our chests and rarely take the time to breathe right down into the belly. It’s amazing how calm and grounded you feel when you breathe really deeply for a few minutes. And you don’t even need extra time to do it – you can do it while walking down the road or sitting on the bus. – And of course, take a food supplement to ensure that you’re getting all of the nutrients you need every day. In an ideal world we would all get 100% of the nutrients we need from our food, but in this busy world it’s so easy to eat the same things over and over, or eat convenience food, which means that we don’t get all the nutrients we need every single day, so we could probably all benefit from taking a supplement. What beauty supplements do you take and what’s your experience with them? I’d love to know! Now I’ve got your attention, let me tell you more about the Kleresca® treatment. It’s a gentle, in-clinic experience that safely and effectively treats acne, whilst also stimulating the repair of scarring by encouraging the build up of collagen in the skin. It uses a gel applied to the skin which is placed under a high-intensity lamp to kill bacteria and stimulate your own skins repair systems in a pleasant and comfortable way. 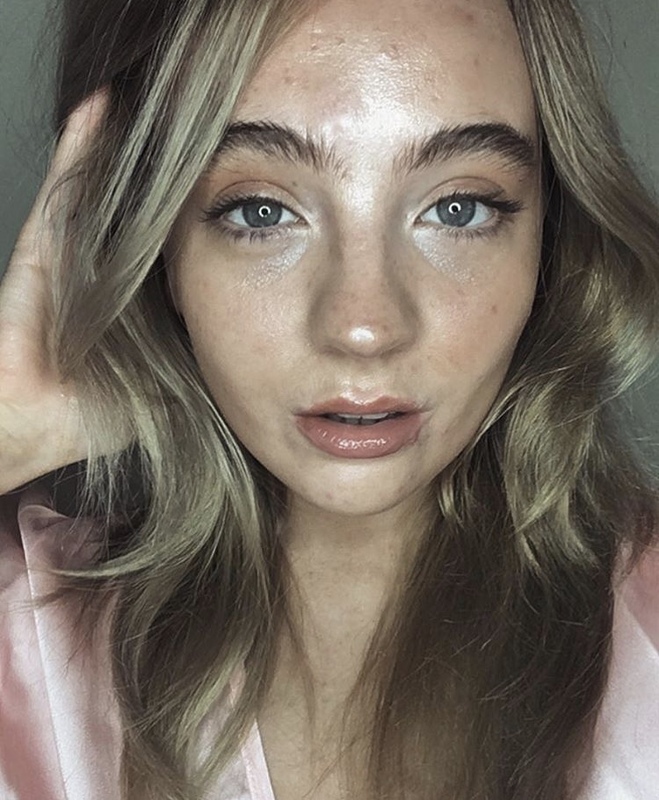 This treatment even works on severe acne in just 2 nine minutes sessions per week over six weeks, making it a small investment for such a fantastic outcome. Kleresca® has little to no downtime after each treatment and has a long lasting effect, as I witnessed on Natalie first hand (the event was held three months after the conclusion of treatments). In clinical trials, no serious adverse reactions were noted and 9 out of 10 people saw an improvement in their skin, with every third person reaching clear or almost clear skin – such a cool stat! Tasmania very rarely gets enough new treatments straight away, so to have one of the first 15 clinics offering this treatment in Australia is so exciting for us rural people, but it’s also available in NSW, QLD, ACT, VIC and SA. If you’re international, definitely one to investigate with your local derm. 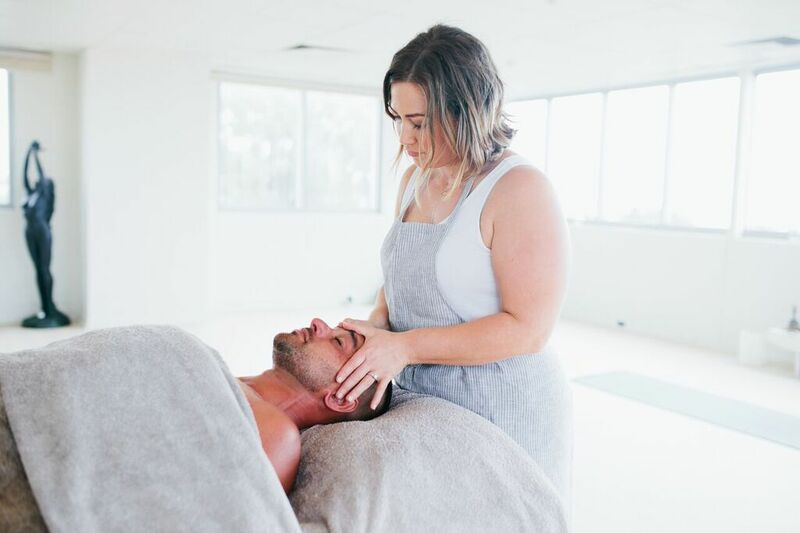 For more information, please see this link and if you’re in Oz – let me know if you’re interested in this treatment and I will point you in the right direction – or find a nearby Klersca® clinic here. “After 13 years in traditional beauty, there came a point where I could no longer go on. I needed to take full responsibility for the message I was sending about beauty and for what I was putting on client’s skin. 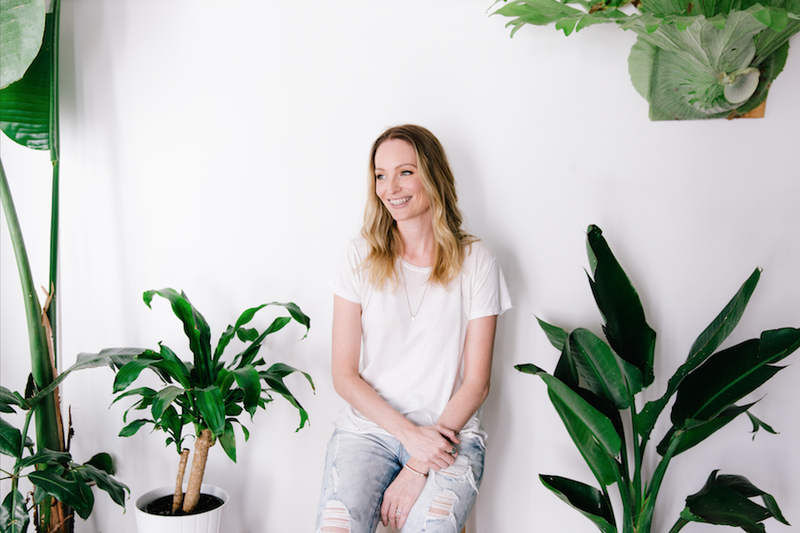 I start work each day excited to educate my clients that the’s another way and that a bathroom full of products does equal beautiful skin!” – Natalie Sellers, Founder, Kindred Toxin Free Facial Studio. I’ll have hands on and hands off days each week. The days that are hands off I spend updating my online shop, confirming bookings and all things admin related to the business. I’ll always take 2 days off a week usually a Sunday and Monday to recharge, look after myself and spend time with family and loved ones. The days that I work in the studio are jam-packed so I need to be prepared. I make all my meals in advance and bring 3 litres of water with me every day to make sure I’m eating well and staying hydrated. Drinking enough water is seriously one of the easiest things you can do to look after your skin. I’m usually fully booked a few weeks in advance which helps me see when I will need to be prepared to the max and I can capacity plan. It also gives me time to ensure during that time I’m taking very good care of myself. As the business is only me I have to ensure I’m healthy and on my game. Hands off days usually involve some kind of meeting with a supplier, taking my fiancee to some kind of appointment, or checking out new yoga classes or similar (self care is always a priority), researching new products and the newest wellness trends, and making my food for the upcoming days in the studio. So my ‘average’ day in the studio? 6:30am: I’m an early riser and I’ll jump straight into a morning meditation. A current favourite is Alison Potts Morning Meditation. After this I’ll make a smoothie (almond milk, turmeric, proplenish, prana caramel protein, greens and a few other supplements) and check any orders that have come in overnight, check emails, or reorder any stock I need. I’ll also spend a little of this time packing up orders ready for the courier to pick up. 8:30am: Jump in the car and three times a week I’ll stop and train with my PT at EAT RUN LIFT. I have fibromyalgia and Beau is great at training with that in mind. After training I’ll grab a coffee and head to the studio. 10:15am: I arrive to my studio at Inna Bliss in Bulimba. I’ll have a shower and set the studio up for a day of clients. I’ll usually see around five or six clients in a day. 1:30 – 2:30pm: Depending on what rituals are booked in I’ll try and take lunch around now. If possible I prefer to get out of the studio and sit in the sun for a little bit. I might walk up to a local cafe near the studio that has WiFi, grab a coffee and check emails. 5:45pm: I’ll take another break around now and have dinner which I’ll bring from home. Usually it is veggies or stirfry. It is all low GI, low carb and dairy free. It has to keep me energised to make sure I am giving the same level facial treatment at 6pm that I do for my first client of the day at 11am. 7:15pm: I’ll clean up the studio after my last client of the day and depending on how I feel I might stay for a yoga class that is on in the studio I work from. Otherwise I’ll book in for an infra-red sauna or head home. 9pm: While my studio and non-studio days look a little different, the one thing that doesn’t change is that I’m in bed by 9pm. It is the promise I make to myself and my wellness so I can continue to operate at my maximum. 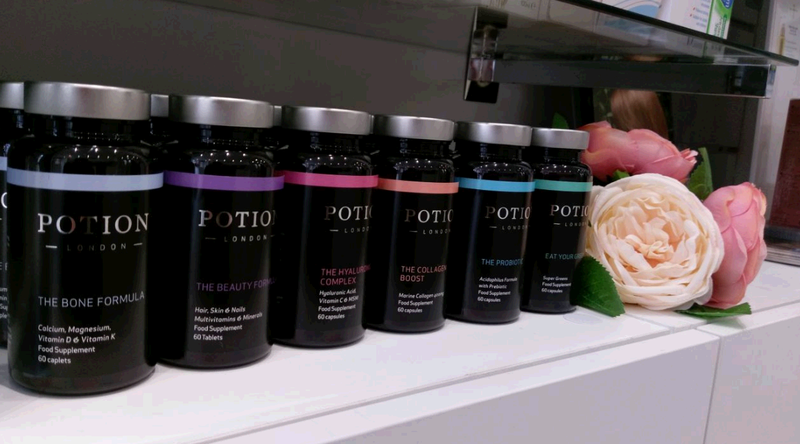 Potion London launched in summer 2016 with a range of supplements promoting ‘beauty from within’. The brand aims to make life easier and take the confusion out of food supplements by offering one-a-day solutions to common nutritional needs; the range has been specially developed by nutritionists to provide the optimum nutritional intake for each particular requirement. It’s hard to write about a typical day as every single day is so different. That’s one of the things I love about working for myself – if I want to sit in bed and work all day I can (not that I ever actually do this – promise), and if I want to go on holiday at the drop of a hat I can as well (not that I actually do this either but it’s nice to know that I could). The most typical day for me starts at 6am when the alarm goes off. I do a couple of social media posts for Potion and then drag myself to the gym. Mornings are my favourite time to exercise because I’m already in a spin or yoga class before I’ve properly woken up and realised what’s happening, and then when it’s over I feel great for the rest of the day. I’m trying to use more natural products to reduce the amount of chemicals I’m exposed to, so I use a home-made coffee scrub in the shower and use coconut oil or almond oil instead of body lotion before getting dressed. Breakfast after the gym is usually something like eggs and avocado or a banana and peanut butter smoothie which I prepare while checking my emails and listening to BBC 6 Music on the radio. I will either work from home or take myself off to a café where the gentle commotion of customers lulls me into a deep concentration and stops me from being distracted by that block of cheese in the fridge that keeps calling out to me. The morning will usually consist of responding to emails, following up with press, planning ideas for the future and taking online orders to the post office. My company is based in the UK but I’m amazed by how many overseas customers I have. My first ever orders through potionlondon.com were from Greece and USA. It’s so exciting to think that people so far and wide are discovering the brand. I miss the social aspect of working in an office with lots of people so I try to schedule meetings, or coffee dates with friends most days to keep me sane. I usually arrange meetings in the afternoon – discussing brand collaborations, planning events or having strategy meetings with retailers. The UK department store Harvey Nichols launched the products exclusively when I first started the company, which has been amazing for getting the brand off the ground. When I’m travelling to and from meetings on the bus or the tube, I try to use the time productively and read an inspiring book to give me the motivation to keep believing in myself and to stay focused on my goals, or read a book about nutrition. At the moment I’m reading “Gut: the inside story of our body’s most underrated organ” by Giulia Enders. It’s fascinating! 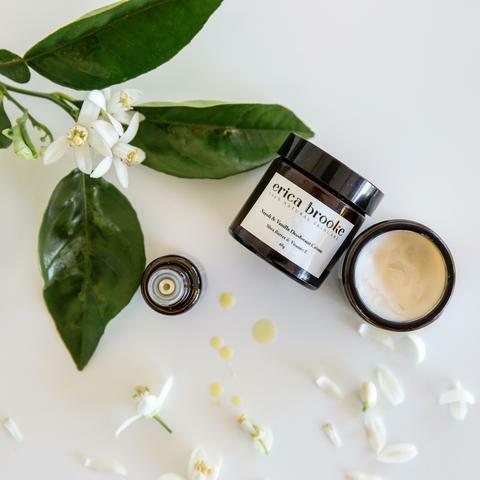 Erica Brooke, of Erica Brooke Skincare, believes that beautiful and truly natural skin care should not contain things like, parabens, sls, slse, propylene glycol, phthalates, fragrance, harsh alcohols or GMO’s. She believe in keeping packaging to a minimum and that recycling is a must. Unrefined and organic ingredients are best and will always be used when available. She believes in being open and honest with her customers and that multi use products are the best kind of products. She believes in treating her skincare’s ingredients with respect and getting the most out of them. 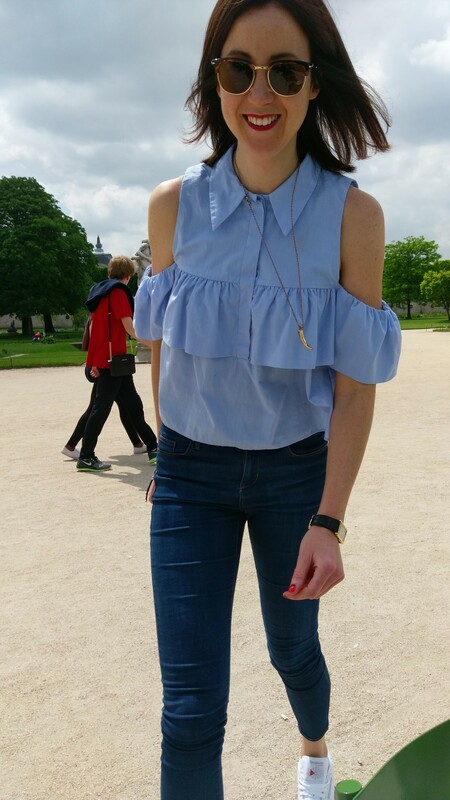 Below Erica has shared a typical busy day in her life with Why Hello Beauty’s readers! After waking up, I’ll get out of bed and make a hot lemon drink (lemon in hot water). It is my one consistent thing I do for myself each day! After making that, I’ll usually be getting at least one of my daughters, some days both, [Erica is Mum to two girls aged 5 and 3 years] ready for Kindy which includes making lunches, getting everyone to brush their teeth and get dressed. While they’re getting dressed I’ll try and take 20 minutes for myself. Depending on the day I might use that time to give myself a mini facial, I might meditate or read a few pages of whatever book I’m reading at the time. I try and drop the girls at Kindy by 8:30am and swing by my local cafe for a coffee. I’ll always try and drink it at the cafe and take the time to check my emails, Facebook and set myself up for the day rather than leaving it until I get home and get distracted! I’ll usually try to make the products that require the most attention in the morning. This is usually our range of moisturisers or our newly launched Emerald Elixir, both of which take a lot of concentration, but sometimes I’ll be pumping out our range of natural deodorants which are becoming quite popular! Around 2pm I realise I should have stopped for lunch by now and have lost track of time, and I’ll switch to packing any website orders that have come in overnight. I really try and tackle that everyday so that our customers are getting their orders delivered as quickly as possible. I’ll also check what wholesale orders need to be fulfilled and make sure we’ve got enough stock made for the next week. I head back to kindy to pick the girls up and head home to get dinner ready, get the girls bathed and ready for bed. On a good day the girls have gone to bed and my husband and I get a chance to check in with each other. I’m lucky to have him help out with the business so if it is a busy week he’ll get stuck into the book work for Erica Brooke Skincare while I keep mixing, packing orders or labelling any products. I’ll often make our smaller products at night (masks, the spot sticks or lip balms). I’m really lucky to have a great support network to help if needed. My mum and girlfriends have all been known to lend a hand from time-to-time! I’m generally in bed by 11:30pm, sometimes later if there’s a big order to fulfil or pack. I’ve just stopped drinking coffee and hoping that is going to help with getting a little more sleep! 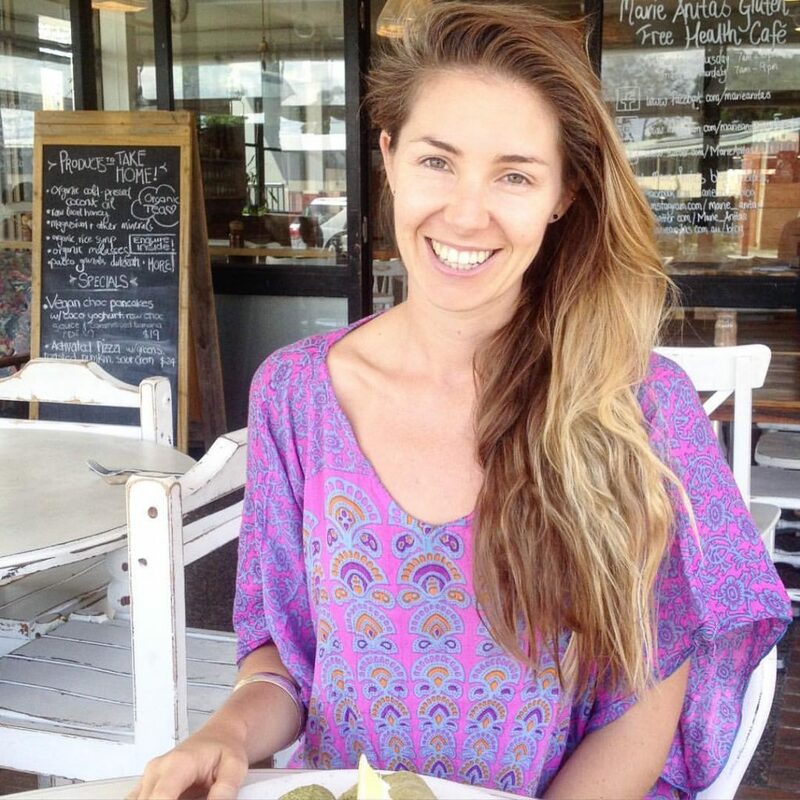 Sabrina Jacquier-Parr is the founder of keeko, the 100% natural, vegan and organic oil pulling products that is made in Australia. 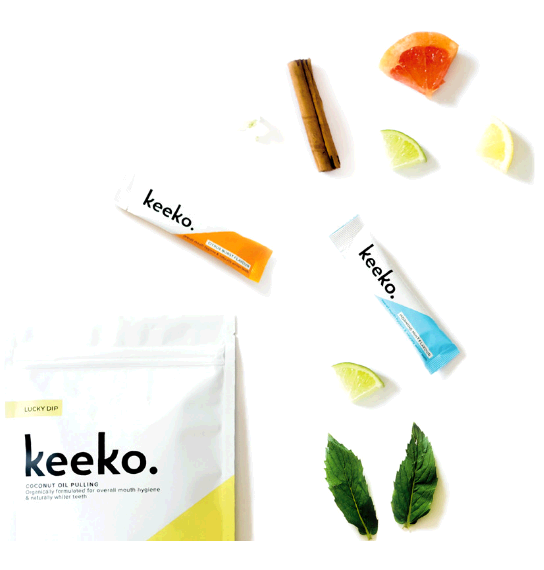 Developed to satisfy the market need for an alternative method to the popular treatment of oil pulling, keeko’s easy-to-use sachets are effective, fun & quicker to do than any other oil pulling practice out there, and come in 3 tastebud tantalising flavours that taste damn delicious. Used like a mouthwash, the clinically formulated tropical blends are infused with organic and cold pressed Coconut Oil, Chamomile Essential Oil, Lemon Essential Oil and Myrrh Essential Oil to amp up the health benefits of this ancient Ayuverdic routine. Just 5 minutes on the daily & you will be on your way to naturally whiter teeth, clearer skin, increased energy levels & a detoxed mouth + body. Swish, swirl, spit. Easy! I try to stick to a routine in the morning. I like the feeling of freedom in the afternoon if I get all my life admin done early in the day. 7.30am: Wake up and do morning pages in bed. It’s a form of journaling that helps you get into your subconscious before your ego ‘wakes up’. It’s a great stress reliever and thought processer. Keeko was born in my morning pages! I’ll alternate each morning between morning pages and meditation. 8.30am: Kick start my metabolism with warm water, fresh lemon juice, honey, apple cider vinegar and cayenne pepper and supplements. For me, I find I function best with an omega and an iron supplement. 8.35am: I am a big believer in multi tasking! So as I take my morning shower I’ll do my Keeko oil pulling. I’ll also do a gentle micro facial exfoliation, at the moment I’m loving BareBabe Scrub, it’s got an AHA and smells like chocolate. After I have cleansed my body I’ll put coconut oil on my skin whilst in in the shower, it works as an in-shower moistursier! 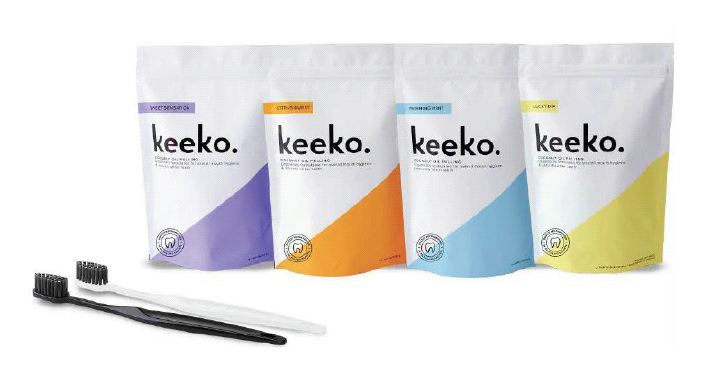 Once I’m finished my shower I brush my teeth with Keeko Activated charcoal teeth whitening toothpaste which is coming soon! I wear minimal makeup, so I’ll spray Josh Rosebrook Mist on my skin before using his tinted moisturizer with SPF (it’s seriously amazing), some Tata Harper cheek tint, mascara and a swipe of Frank Body Lip Balm and I’m good to go. 9am: I always have a protein smoothie in the morning. At the moment I’m loving the Healthy Lab Chocolate protein power with banana, Bruce Almond Milk, and a smoothie bomb (they are amazing). So delicious. I then process all the Keeko orders from the past 24 hours and start checking emails. This is usually responding to customer enquires, sales enquiries, and discussions with my marketing and public relations manager. This is also when I get my creative juices flowing. I’ll either be designing our latest product launch and liaising with designers, testing new formulas and chatting with brand partners and stockists to ensure everything is seamless. I have to be in serious Boss Lady mode most of the time, but I leave plenty of time to play too! The best part about running my own business is the flexibility to provides me with. Afternoons I allow to be more fluid and it’s usually when I’m running around and more active. I always try and schedule meetings in the afternoon. I also try and make it to a class at least 3-4 times a week. I alternate between Yoga, HIIT, Pilates, and Dance Class. Whatever I’m vibing with on the day, it makes it feel less like a chore! At 6pm I try and close my computer and spend some quality time with my husband. It’s important to learn when to shut off for the day!